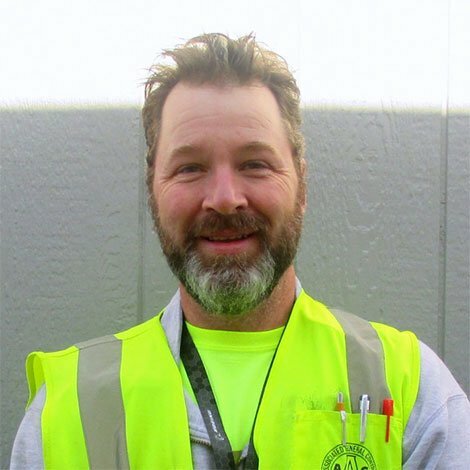 Troy is WA Patriot’s General Superintendent, responsible for supervising and managing field operations, equipment procurement, and manpower allocation. With 30 years in the industry, he has strong leadership, organizational, and time management skills. Troy is a jack of all trades, but claims he is not an expert at any and still looks forward to learning something new every day. A highlight of his career involved working on Pump Modules for the Alaska Pipeline with 2200 people on a single site. Troy has his dad to thank for getting him into the construction industry. An extremely hard worker, Troy’s dad got him a job at a roofing company during the summer between his 7th and 8th grade years, where he worked every single day of summer break and weekends during school. Troy’s work ethic makes him a central part of our work force and a Superintendent valued and respected by all. Troy enjoys all aspects of his job – from building relationships with clients, crew, and staff to seeing a challenging idea on paper turn into something remarkable. When not leading his projects, Troy enjoys reading and spending time with his family and dog.